Sweet potato is everything sweet and since I discovered it is more nutritious than its Irish specie, I’ve stuck more to making it for the kids. Sweet potato is one of the best sources of Vitamin A, it is high in fibre and thus quite filling. Kids that don’t like drinking water will surely take a cup after eating this. Sweet Potato Spiced Chips is a sweet comfort food that the kids will enjoy on a lazy saturday afternoon. I usually cut sweet potatoes in circles before I deep fry them but it just occurred to me to cut it this time like regular chips and also add some spices to it. Just as I thought, it came out well and I’m sure yours would too. You can use any spices of your choice – curry, thyme, all purpose seasoning, chilli, rosemary, seasoning cube etc. Put water in another bowl and add all your spices and salt. 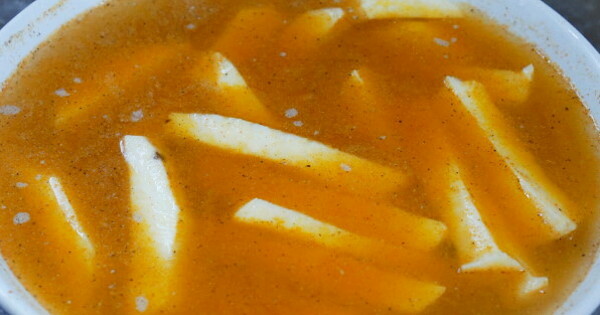 Rinse the peeled potatoes into the bowl and allow to sit in the spiced water for at least 20 minutes. Heat oil and once hot, fry the potatoes till they are crispy and golden brown. Because you are scooping the potatoes straight from the spiced water, it will make a lot of bubbly noises but don’t worry, the water helps its texture after cooking. 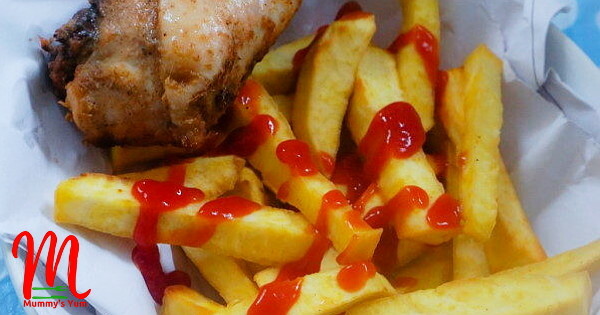 Serve with ketchup and chicken or other desired choices. The kids will also love the sweet potato pottage, while babies and toddlers will enjoy the sweet potato and carrot mash as a weaning meal. 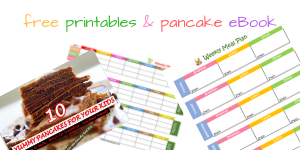 Have you checked the improved meal planners? They now contain links to the recipes, so you don’t need to search the blog to get a recipe anymore. 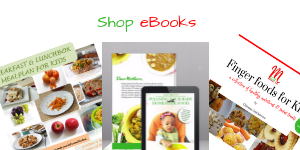 Download it to your phone and get the recipe you want with just one click. Chef of the house indeed! At least I’ve been able to redo the meal plans for the house and my shakara levels has upgraded considerably hahaha, thanks to your numerous wonderful recipes. lol here. You see, not only shakara o, husband material have also increased well. Thanks so much Kazeem for the feedback. You can’t imagine how excited I am about the wonderfully creative recipes you have here. Maryam, you will have to use your knife to see if you can achieve that(lol). They surely have a special machine for doing that.